Alicia and Joseph Jackson are a couple at cracking point. After years of trying and failing to conceive, Alicia has finally fallen pregnant. But worried for her safety, her doctor prescribes a complete change of pace. What better change of pace but to buy a mortgagee sale smallholding in the country-side? The house has a name: REDGATES. Alicia is immediately charmed by this beautiful sprawling mansion. She can see her baby being born and nurtured here. Joseph is taken with the mysterious history of this old homestead. But digging around in the house’s past may uncover more than just cracks in their marriage. Some secrets are better left untold. Some nightmares hide in the shadows of the day. The locals have another name for the house: The House of Blood & Secrets. 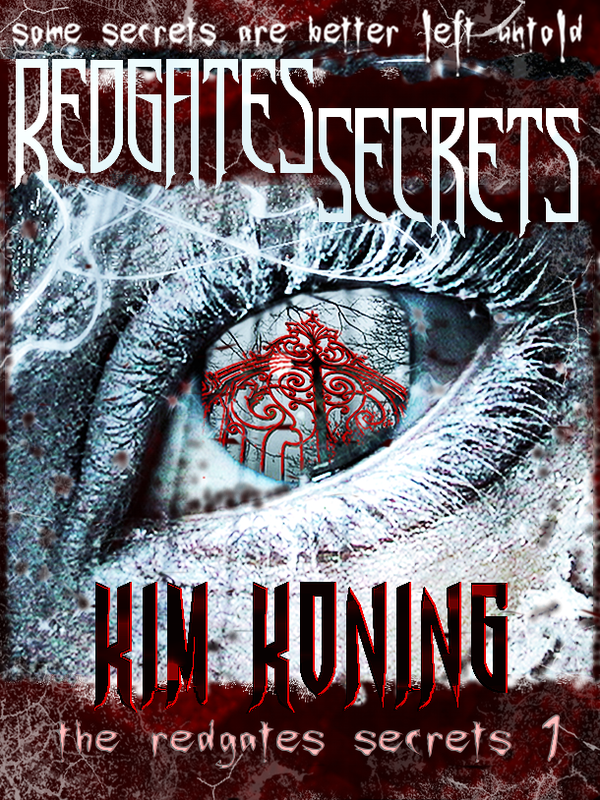 Like The Redgates Secrets on Facebook! Kim is a dark fiction writer with the heart of a poet and the soul of a gypsy while the ancient rhythms of Africa, the birthplace of storytellers, courses through her veins. Wanting to be either a pathologist or a criminal psychologist, life took her on a few twists and turns while studying journalism and after a couple of meandering offshoots that did not involve fiction, fiction finally chose her when she was asked to write a short story for a NZ anthology (which was a National Award Winner). Kim now lives on the beautiful East Coast of New Zealand’s North Island and is lucky enough to call the Pacific Ocean her backyard. She can often be found wandering the cliff tops above the crashing ocean and walking through the lush farmlands that surround the area. But with a heart caught between two lands, the sunburned, ancient Africa and the lush, green islands of New Zealand, she finds her true home within the white pages covered in ink. Her fiction is caught between the dark and mysterious, the truth and the what ifs, secrets and reality, shadows and light. Kim really does see ghosts and her loved ones believe ghosts and extreme weather phenomenon follow her around. She grew up spending holidays and weekends at her grandparents’ large old farm homestead which had a hidden wing that was haunted. These early experiences with haunted homes ignited her imagination and started a spark that made her question what else is out there that we couldn’t see, what is around us observing us? Why could she see these ghosts/spirits and many others couldn’t? The spark was lit and the stories started coming as fast as she could write them down. 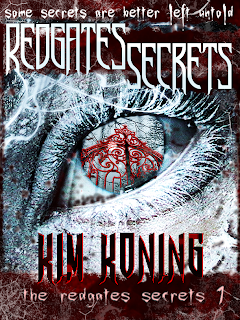 One of these real life experiences sparked The Redgates Secrets, Kim’s debut 6 part novella series.